OH MY GOD GUYS. 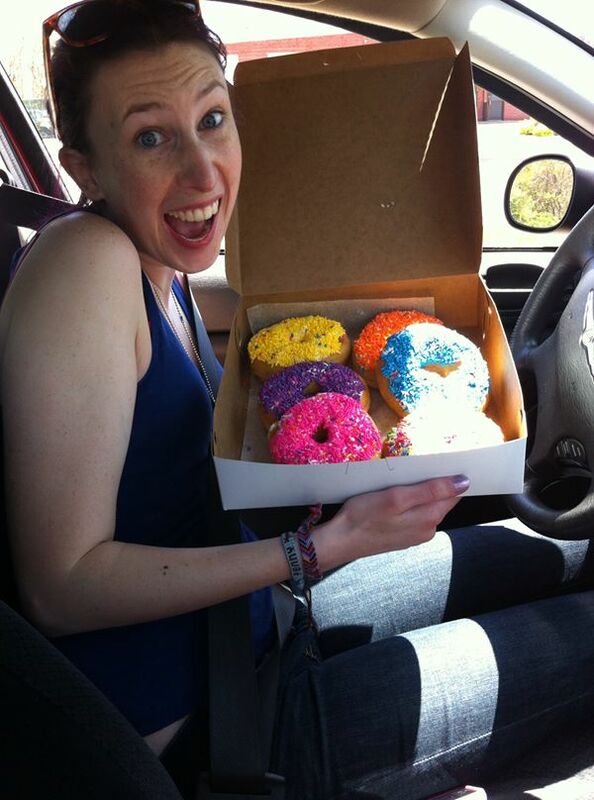 The award for the best donuts in the world goes to Allie’s Donuts located in North Kingston, RI- HANDS DOWN. When I was in college, my friends and I realized that we got much more drool worthy over a GOOD donut than we did cake. Maybe it’s because most of us were pastry majors and we’d make cake and other sweets all the time. A good donut is hard to find, ya know. Or maybe it’s because we’re all fatties at heart. Or maybe it’s just because we discovered one of Rhode Island’s best kept secrets with a family run establishment called Allie’s Donuts! They’ve been making donuts since 1968 so they know what they’re doing! It’s located at 3661 Quaker Lane, North Kingston RI. You can basically only get there by car but MY GOD it’s worth the trip. Literally every time I go back to Providence (where I went to college), I take the 20 minute ride to go and grab some donuts. The donuts are fluffy and soft and not too oily. But I really think it’s the icing that makes them ON POINT. It’s a sugary buttercream on top, nice and thick. I’m drooling right now thinking about them. My absolute favorite kind to get is the rainbow sprinkles and they’re cheap too! You can get a half dozen for about 5 bucks. You gotta get there early though! While they make donuts all day, there’s ALWAYS a line out the door. 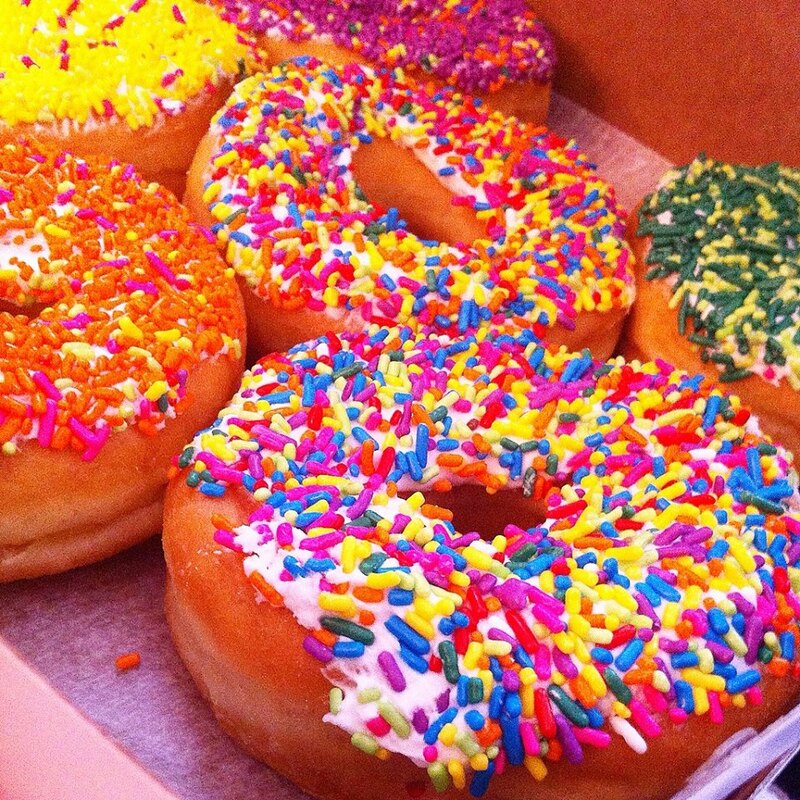 I’ve tried ordering other flavors before but nothing compares to the sprinkled ones. Totally instagram worthy. 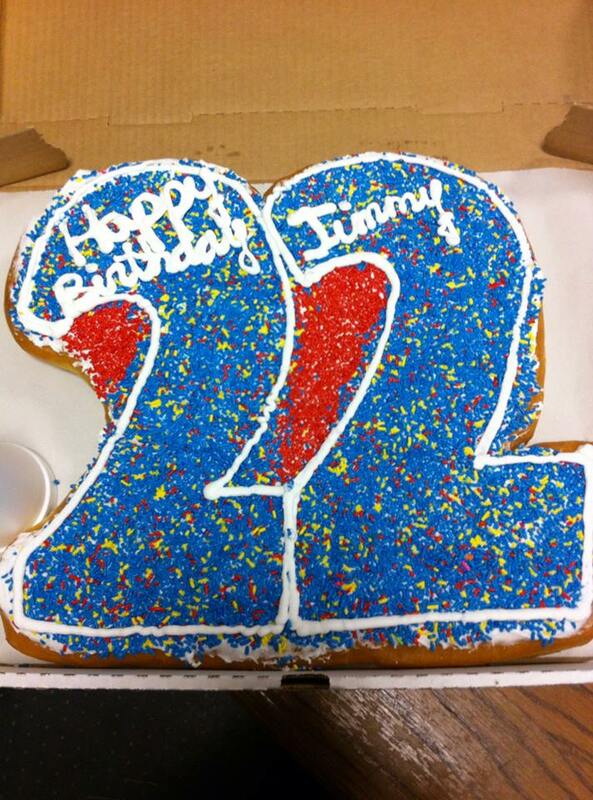 What else is cool is that you can call about 2 weeks in advance and order a donut cake! They make and decorate almost ANY shape you can ask for. 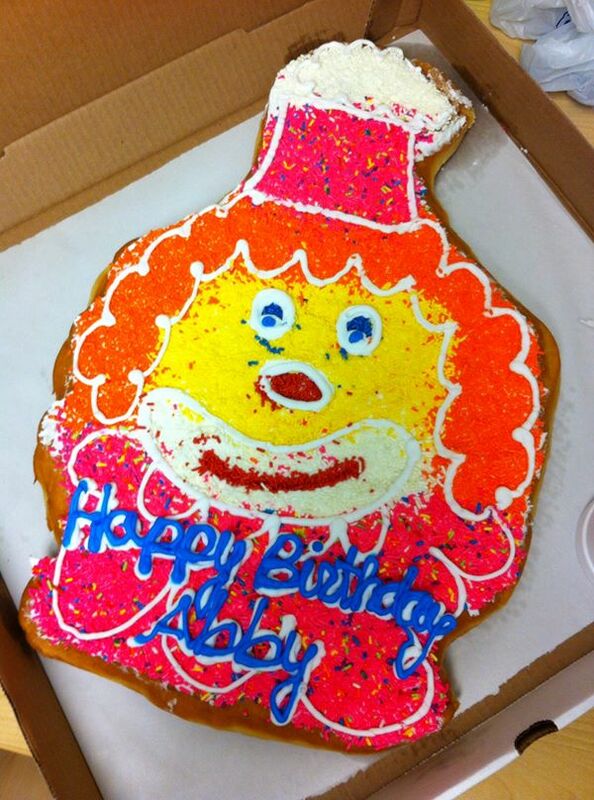 They’ll make the standard large donut shape which feeds about 20 people (Or maybe 5 Abby portions) or custom a shape- I’ve ordered a martini glass for my friend’s 21st birthday and they’ve gotten me a clown cake for my 22nd birthday even though they know how much I HATE clowns. But who can hate a clown shaped donut? I don’t care what shape the donut is, just give me the donut. AM I RIGHT OR AM I RIGHT. Allie’s kills it on YELP in their reviews with almost everyone giving them 5 stars. So why not make this a stop on your next trip through Rhode Island? Or maybe even just come to Rhode Island to eat donuts. I won’t judge you whatever the reason. Click here to check/follow their twitter page too! Check back next Tuesday for another blog about my experience seeing my favorite band, Walk the Moon, in concert! Have a good weekend and go eat some donuts my friends!